Don’t let the name fool you – Ace Hardware is not just another hardware store. In fact, they have just as much variety packed into their Chehalis and Centralia locations as a big box store does. 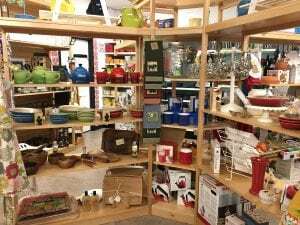 Floor to ceiling, they carry everything you would expect a hardware store would, as well as gifts, home décor and gadgets, garden accessories, and even premium brand clothing. Jeremy Scott, general manager for the Lincoln Creek Lumber Ace Hardware in Centralia and Market Street Ace Hardware in Chehalis, sees this as just another way Ace Hardware upholds its reputation for amazing customer service. Being privately owned means Jeremy can select items that fit the area and his customers. For example, the store carries Seattle Seahawks gifts and western-farm style furniture and décor in the Chehalis store. You can find anything from a bird bath with a fountain to a decorative fan shaped like an elephant. Even when it comes to the gift items, Jermey does not choose “cheap” brands. They carry Duke Cannon, a quirky line of gifts for men – including their “Offensively Large Chapstick.” And for men with more refined tastes, there are products by Edwin Jagger, a beautifully packaged line of old-fashioned shaving necessities. Either is perfect for Father’s Day, birthdays or groomsmen gifts. 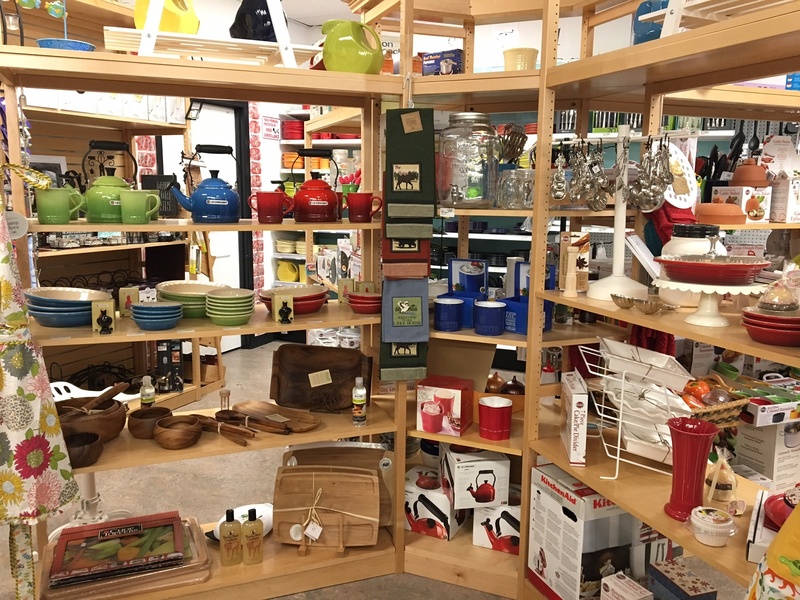 They also have carry top-of-the-line bakeware in the Chehalis store that comes in a range of colors to match any kitchen. The list really does go on and on. And in the coming months, they will be adding premium dog food, including Taste of the Wild, to their shelves. Blending customer service with their desire to be more than just a hardware store, Jeremy makes sure to stock things year round that big box stores consider seasonal, including things like the Yeti coolers and fans. Remember that present for your toddler? 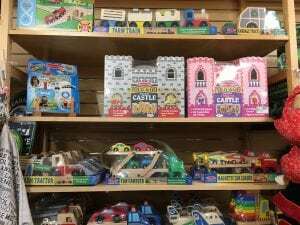 The Chehalis store carries durable, old-fashioned wood toys made by Melissa & Doug. Once again, Jeremy was quick to select a brand that is synonymous with quality. Even adults will enjoy browsing the display and reminiscing about playing with similar toys when they were young. The importance of customer service is reflected in the company’s employee handbook. The vision statement, mission statement and core values are all about customers. Second to customers, the company is dedicated to helping the planet. 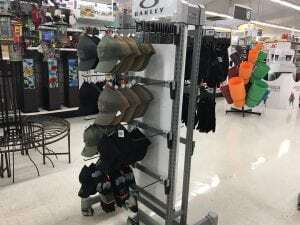 The group values responsible environmental practices, which are exemplified in the Chehalis store’s recent swapping of fluorescent lighting for LED. And, since everything comes back to the customer, Ace offers an in-home visit to estimate costs on replacing your own fluorescent bulbs. Finance options are available and customers often start seeing reduction in their bills quickly through their new LED lighting. Definitely important since PUD just raised the price of electricy by 20 cents! Another part of their dedication to customer service is customer education. Employees are ready to teach customers about the newest items, Jeremy says. They also hosts events throughout the year including a Ladies Night and a Guys Night where people can talk to vendors directly about unique products. The Lincoln Creek Lumber location in Centralia also has a full lumberyard carrying nearly everything for home improvement, including sheetrock. Special orders are available for doors and windows to fit your specifications as well. Because they are all about customer service, they also do “take offs” – you give them your blueprints and they can write up a list of supplies you need to complete your project. All this with competitive prices and delivery to your location. Stuck at home or no time to shop? Their customer service extends right into your living room with the ability to order what you want online and pick it up at the store. Ace Hardware is known for being the helpful hardware place and now, it’s so much more. Just take a quick trip down to the Centralia or Chehalis location and you won’t believe your eyes. Be sure to grab a cart on your way in, you will need it with all the unexpected goodies waiting to be discovered. Visit Lincoln Creek Lumber Ace Hardware in Centralia or call 360-736-8261. Visit Market Street Ace Hardware in Chehalis or call 360-345-1290. Previous articleWhy Do People Volunteer at Health and Hope Medical Outreach Clinic?